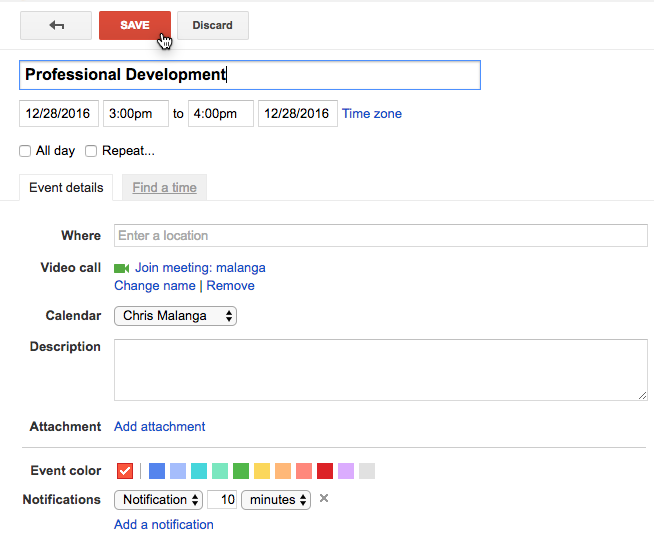 Coming soon to a computer near you is the new Google Calendar. For those of you who use Google Calendar on a mobile device this is going to be nothing new. Here is a screenshot of the new calendar. The first thing you will notice is the add button in the bottom right. It looks like the add menu in google classroom and lets you add events in a nice expanded dialog. 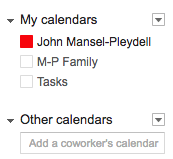 Google Calendar is helping many people organize their digital lives. The web calendar version allows you to see and display multiple calendars in one easy to use interface. Don’t want to see a calendar, simply click the checkbox in the sidebar and it is hidden. Want to add a coworkers calendar to your calendar page? Just type their email in the box at the top of Other Calendars. Do you use both Google Chrome and Calendar? Need to quickly add a meeting to your calendar? Don’t open a new tab and enter it manually… just add it right from Chrome’s address bar! This trick will take a few simple steps of setup, but once you’re done, you can type an event in natural language right in the address bar—such as “Faculty Meeting on Thursday at 3 pm”—and a new event will be created. 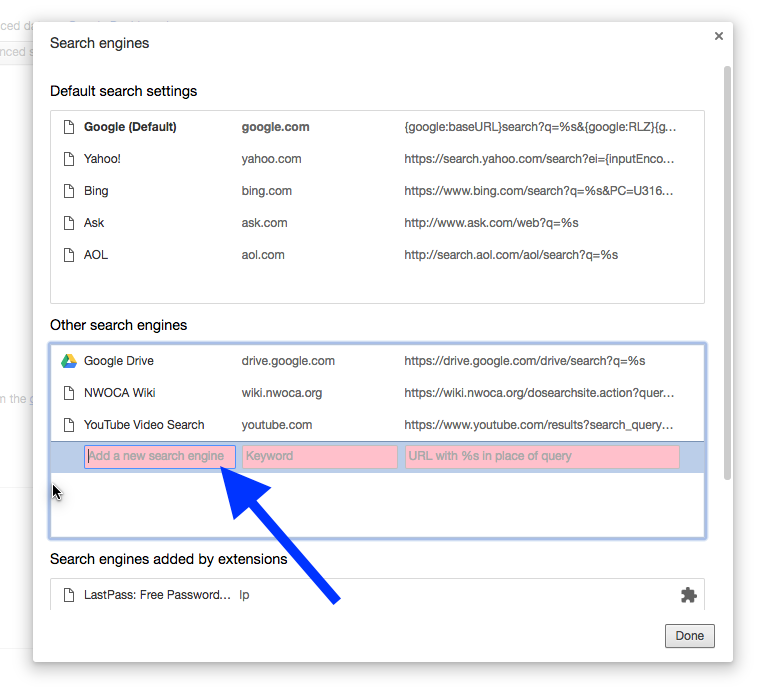 We will use Chrome’s ability to have special search engines to set this functionality up. First, right-click on the address bar and select “Edit search engines”. 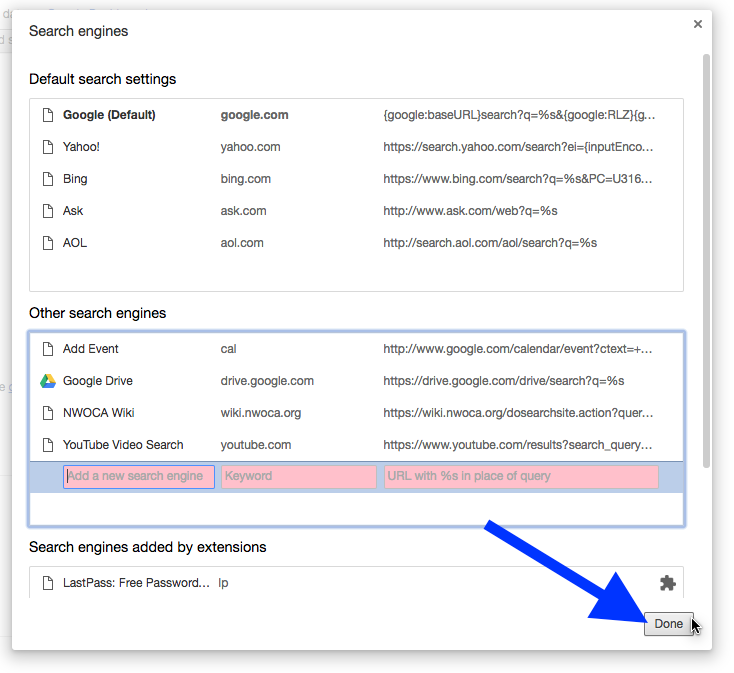 Once you get to the Search engines dialog box, under Other search engines, enter a name, such as “Add Event”, in the first box. In the middle box, enter a keyword, such as “cal”, to type into the address bar to activate this custom search engine. Next, copy the following URL and paste it into the last box (it should be all on one line). Press Enter when you’re done. Now, the custom search engine will appear under Other search engines. Click “Done” to close the Search engines dialog box. 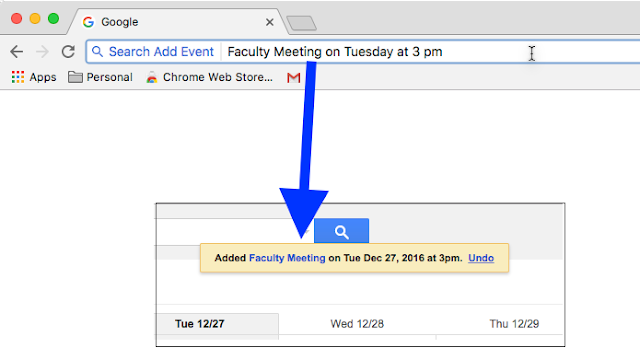 Important: Before using this custom search engine to add events to your calendar, you need to make sure you’re signed into the Chrome profile that matches the Google account to which you want to add events. If you need help doing this, watch this video. Once you’re signed in to Chrome, type cal (or the keyword you assigned to it) in the address bar and press Tab or the Spacebar. You’ll see that “Search” and the name of the new search engine you created shows on the left side of the address bar. 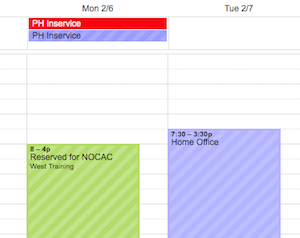 Using natural language, type the event you want to add to your calendar, like the screenshot below, and press Enter.